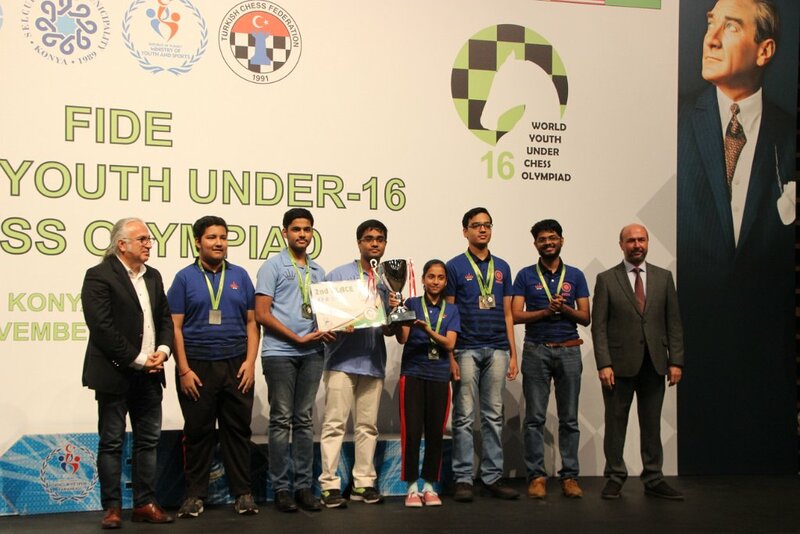 Team India takes the Silver Medal in 2018 World Youth Under-16 Chess Olympiad which concluded today in Konya, Turkey. 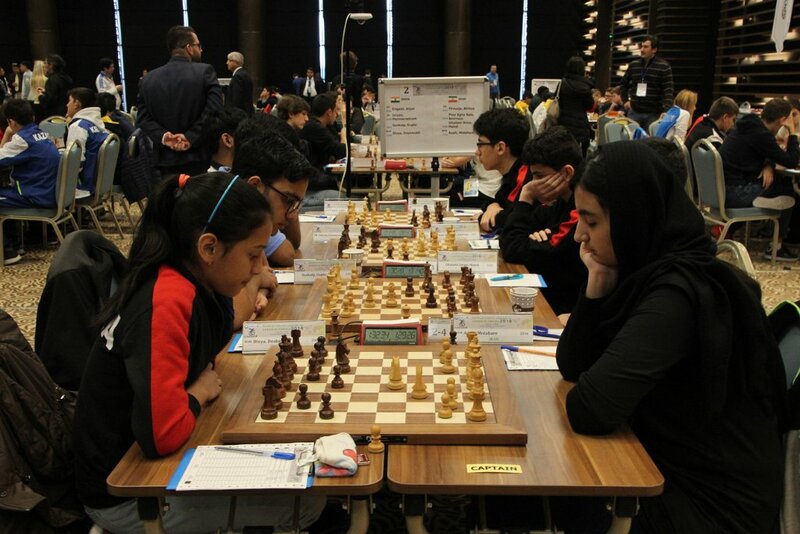 In the final round, India was paired against Iran. 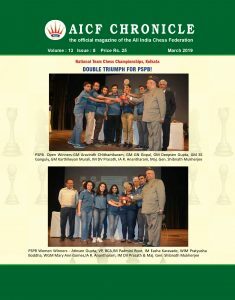 After the top three boards had ended in draws, WIM Divya Deshmukh scored a crucial victory over WFM Asadi Motahare to secure Silver for India. Top-seed Uzbekistan won Gold while China settled for Bronze. 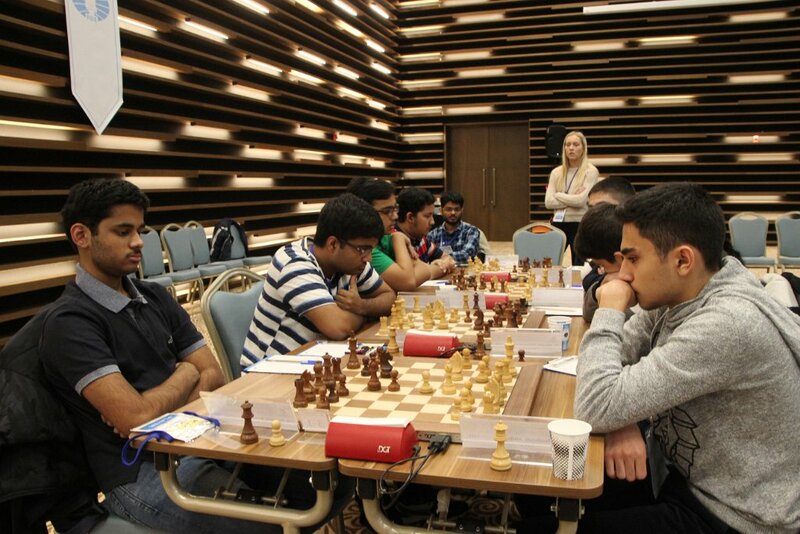 India managed to defeat Azerbaijan 2.5-1.5 in the penultimate round. Koustav won as expected, as he positionally outplayed his opponent. His opponent couldn’t handle the pressure after some point and collapsed completely. Koustav kept things stable on the fourth board and scored crucial wins on more than one occasion. The team couldn’t have won Silver without his crucial contribution. Arjun won from a harmless, equal position as his opponent let fear rule his senses. In an innocuous position arising from the French Defense exchange variation, he kept burning up his time for simple moves. After a couple of hours, he was under pressure on both time and the clock. Arjun didn’t really need a second invitation. Sankalp got into a bad position from a harmless Queen’s Indian Defense. He played in the ‘typical Indian style’ described by the Italian grandmaster David Albert in one of his interviews. He strategically bankrupt his position early, but kept putting up tenacious resistance. His opponent misplayed the position and it became neutral. Looking at his team going down 2-0, the pressure got to Sankalp’s opponent and he went berserk. Sankalp had chances to win in various ways, but emotion got the better of him and he decided to repeat the position to ensure India’s victory. Iniyan’s opponent equalized from the opening and got a comfortable middlegame. The right thing to do would’ve been to liquidate, but India’s position wasn’t all that clear on the other boards. Iniyan tried to overpress and his position became worse gradually. By the time India had 2.5 points, he had too little on the clock and on the position to be able to save the game. If Arjun did the bulk of the early scoring at the top, like Virat Kohli does for India, it was Divya who finished like Dhoni, taking the game till the end and setting up a smashing finish. The final round heavyweight battle between Arjun Erigaisi and Firouzja Alireza came to a premature end as Firouzja equalized easily from the opening and offered a draw. 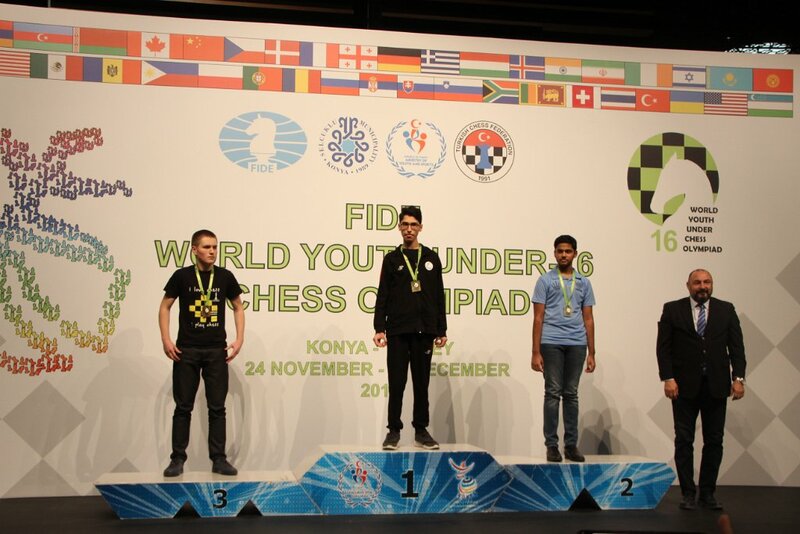 Arjun did his job and won silver medal for board 1 with a rating performance of 2678. Iniyan gradually tried to take over in a King’s Indian Defense game, and a complicated middlegame ensued. However, it got liquidated and petered out into a draw. Iniyan probably played for the longest and worked hardest in this tournament for India, and his efforts were pivotal for the team’s success, even if the persoanl result didn’t always work in his favour. Sankalp was really motivated to win from the start and went ahead on full steam. However, his opponent defended resolutely and didn’t give him any inch. The position became strategically worse, but Sankalp always ensured that he had more time. Meanwhile, as Divya won on the 4th board and put India ahead, it all boiled down to this game. 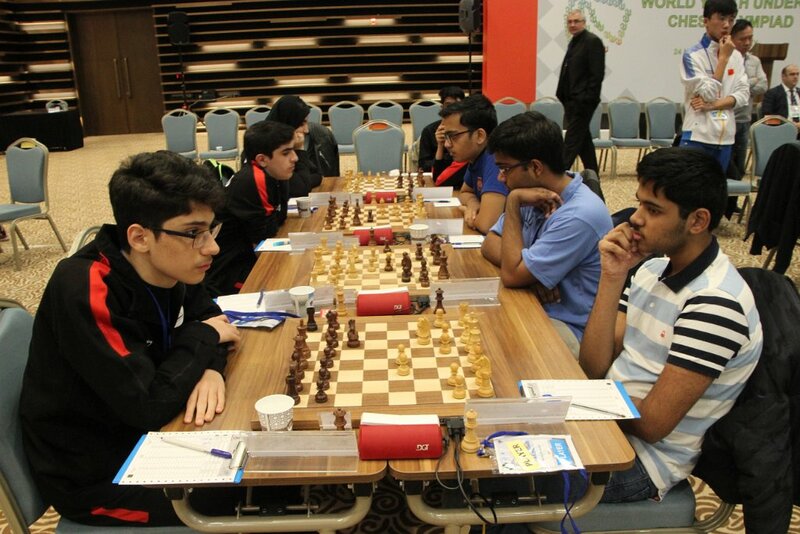 Sankalp showed better nerves than his opponent and swindled a draw. He played his heart out for the team and deservedly got a bronze medal on board 3. Although he required a win in the last two rounds to complete the live rating formalities for his IM title, he always put the team’s interest ahead of his personal interest and spared no effort. The game of the day was between Divya Deshmukh and Asadi Motahare. Divya played energetically from the outset and got an early advantage. After about 20 moves, Divya had a completely better position and much more time. She chose to convert by sacrificing several pawns and putting her opponent under pressure. Gradually as the game moved towards the concluding stages, Divya grew more determined, while her opponent became more panicked and anxious. 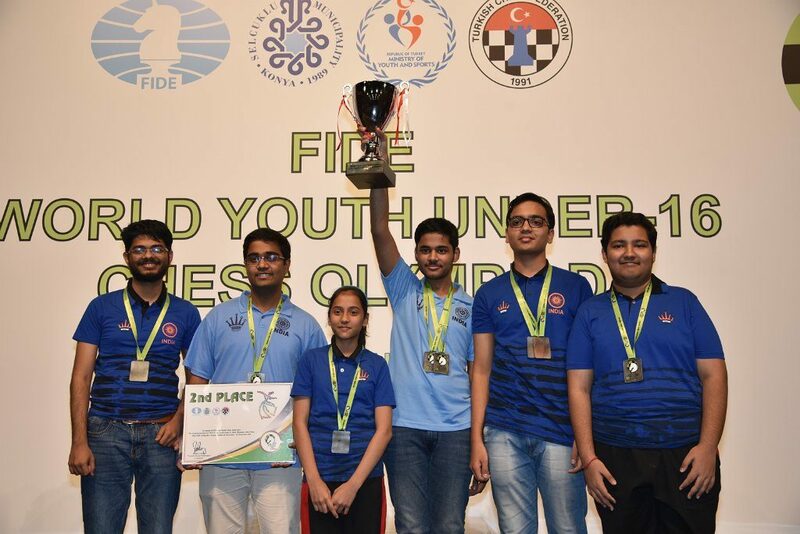 Her incredible finishing ability made all the difference for team India in the 2018 edition of World Youth Olympiad. 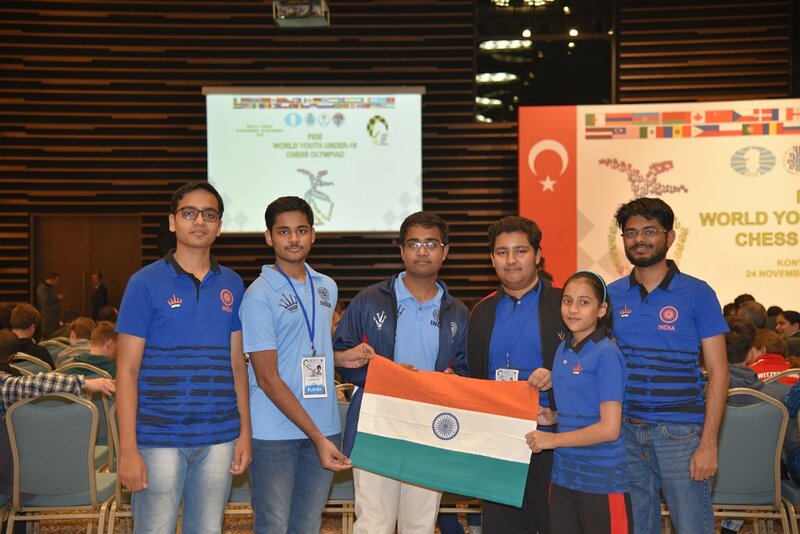 An excellent team effort, wherein India defeated the top countries of the old Soviet bloc – Russia,Ukraine, Armenia and Azerbaijan, as well as the emerging superpower Iran. 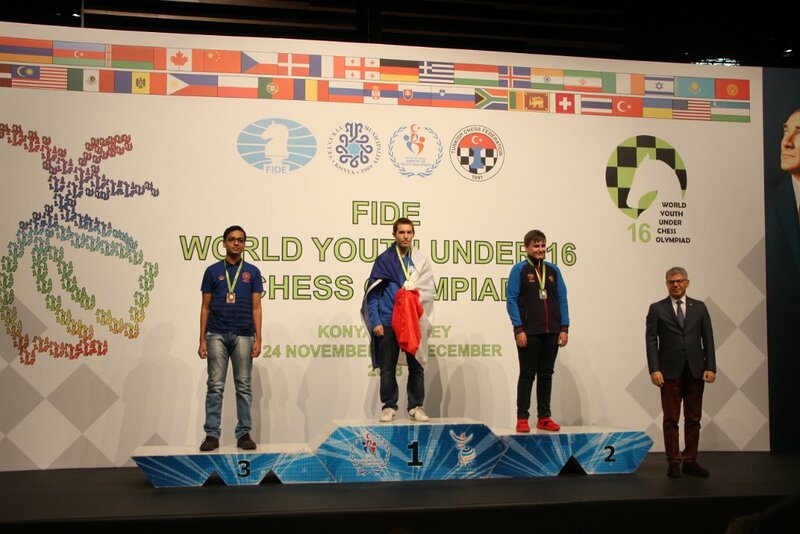 GM Arjun Erigaisi (Elo: 2531) from Telangana has bagged individual silver medal for his performance on board one of Team India. Sankalp Gupta won individual Bronze medal.